FOX NEWS, Google and The Republican Party of Florida are co-sponsoring the GOP debate tonight with all 8 Republican Presidential candidates and newcomer, Former New Mexico Governor Gary Johnson. The debate will take place in Orlando, Florida and will be live streamed on FOX NEWS. FOX NEWS' Bret Baier will moderate along with FOX NEWS anchors Megyn Kelly and Chris Wallace serving as panelists. The questions will come from the moderator and panelists as well as video questions submitted via YouTube. 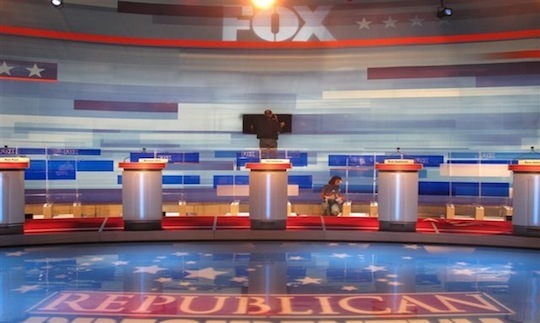 Tonights debate kicks-off the Presidency 5 event sponsored by the Republican Party of Florida. This 3-day event will feature forums and speeches with the culmination of the Florida Straw Poll on Saturday, September 24th. As usual, The Urban Politico staff will be here in real time chatting it up and adding our 2 cents on all of the priceless nuggets of GOP wisdom that will invariably provide tonight's entertainment.